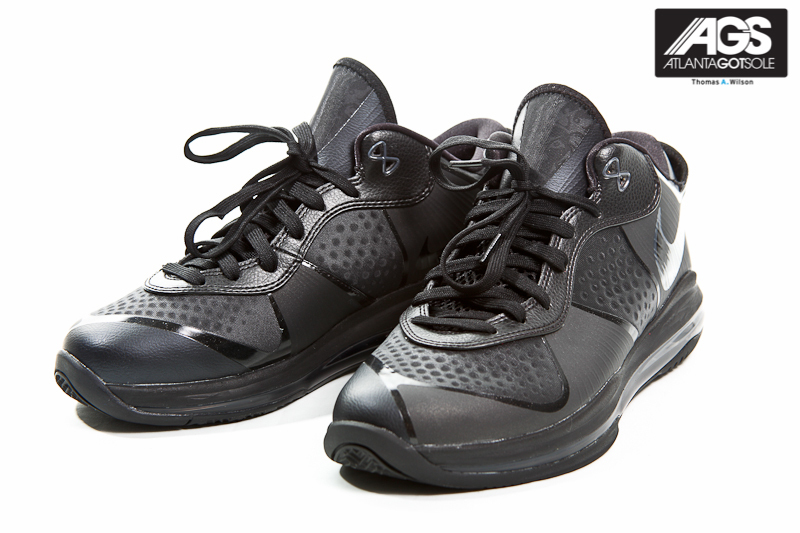 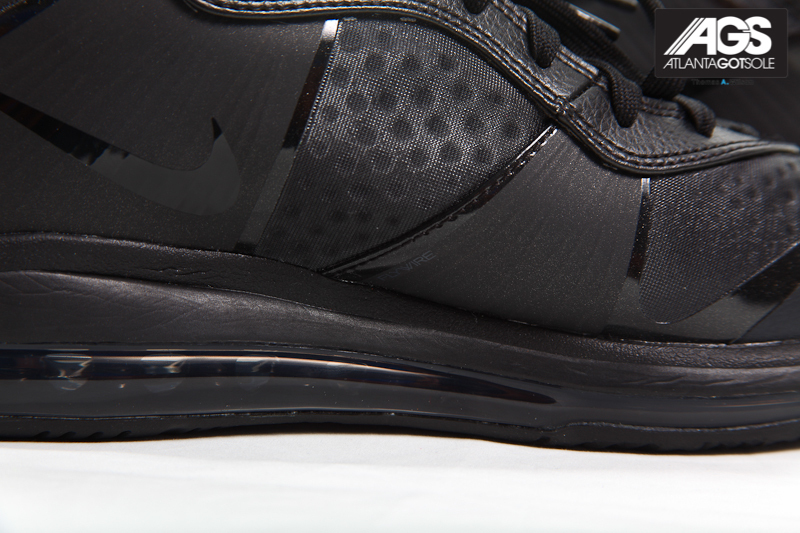 Closer look at the upcoming 'Triple-Black' release of the LeBron 8 V/2 Low. 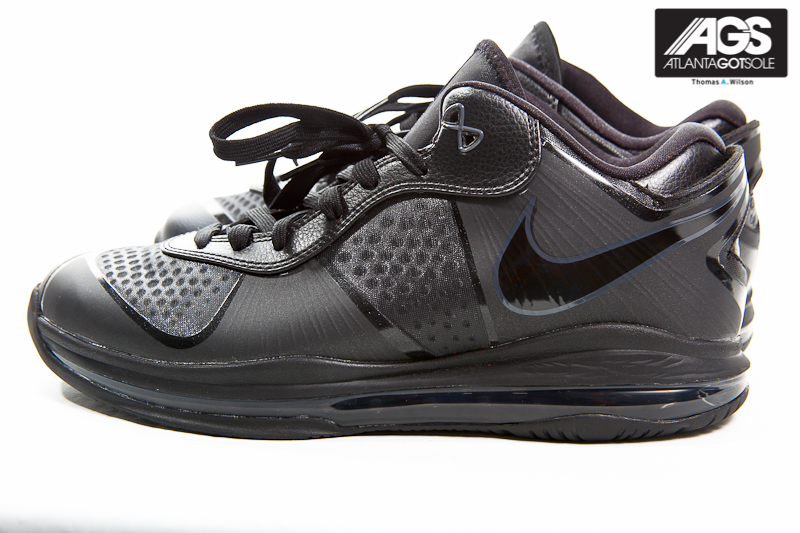 Everyone might be going nuts over all the vibrantly-colored pairs of the LeBron 8 V/2 Low, but this 'Triple-Black' edition is also one to take serious. 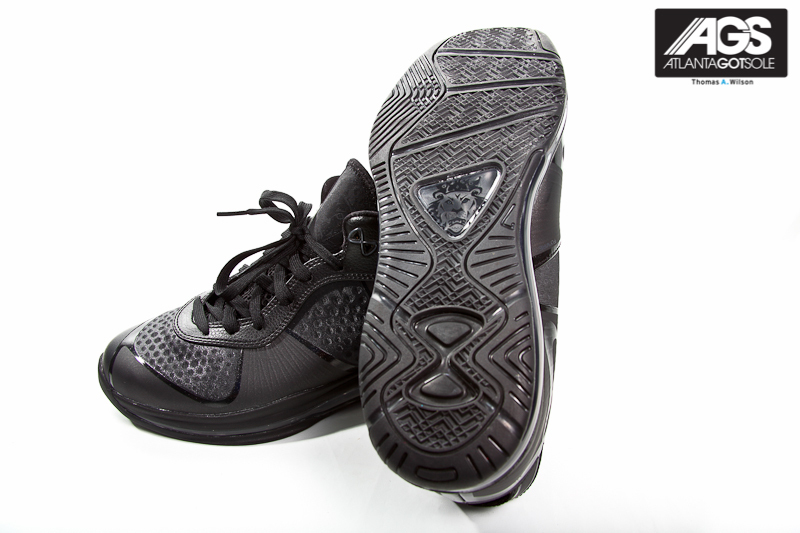 Similar to the previously released 'Triple-Black' edition of the V/1, the V/2 Low is seen working in an all-black construction. 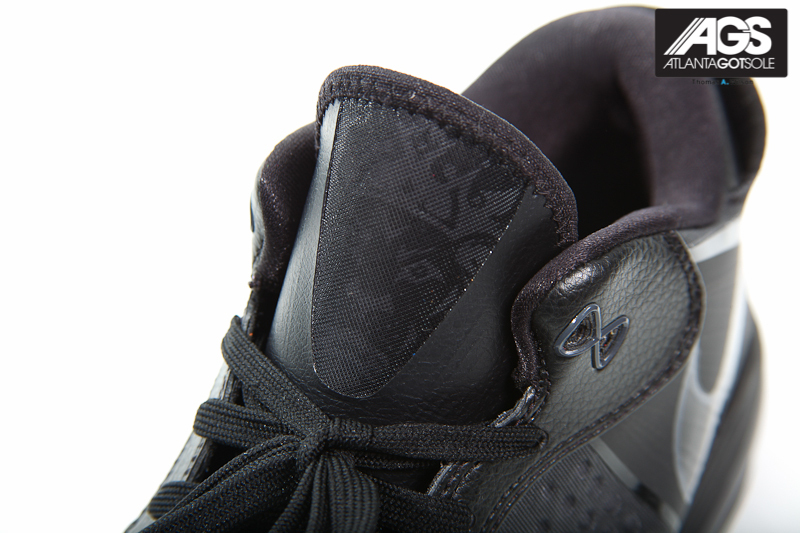 A synthetic construction works most of the upper, with black leather joining in on the fun along the eyelets. 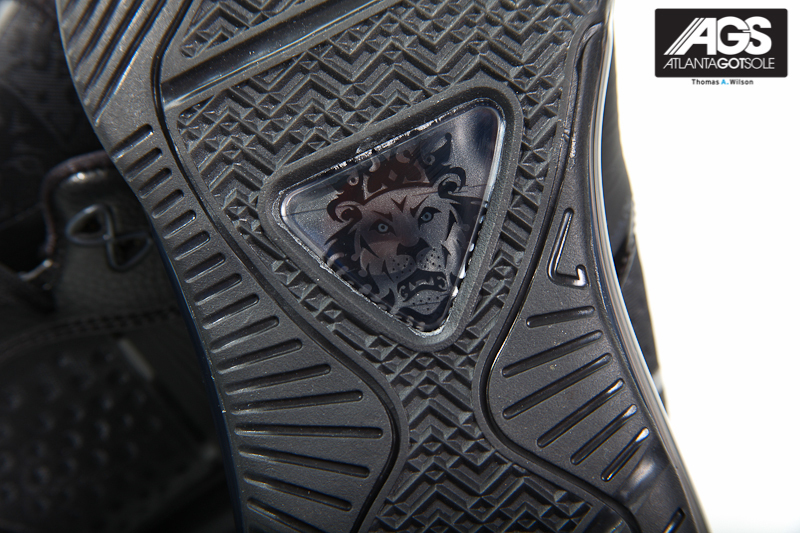 Always a better way to judge a pair of kicks, we have an on-foot photo of this upcoming LeBron release. 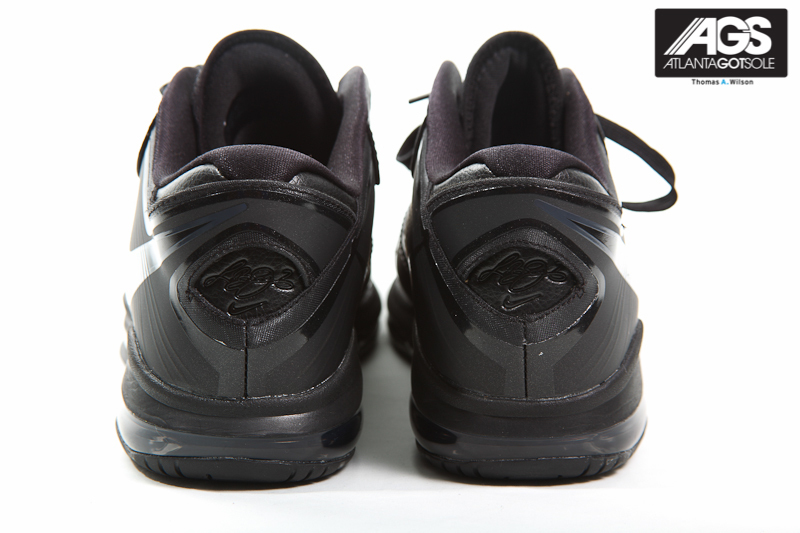 Continue below for a detailed look, and be sure to keep it locked to Sole Collector for the latest on an official release of the 'Triple-Black' Nike LeBron 8 V/2 Low.